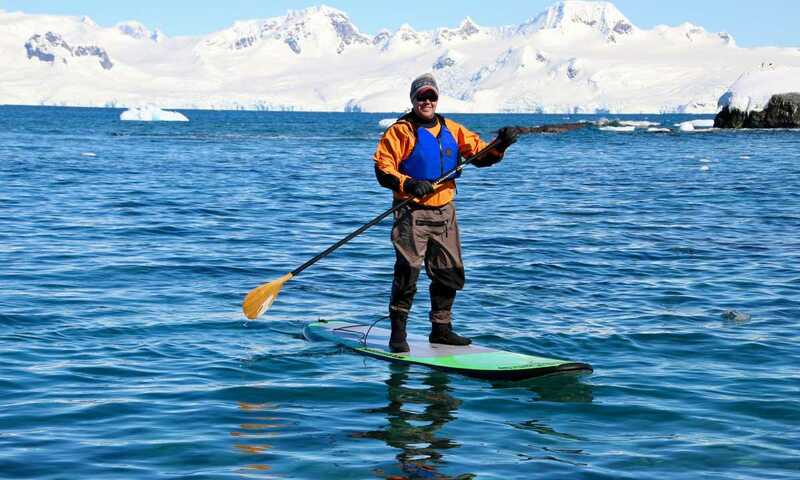 Stand up paddleboarding (SUP) has taken the adventure world by storm and is one of the fastest growing sport activities, so why not in Antarctica? 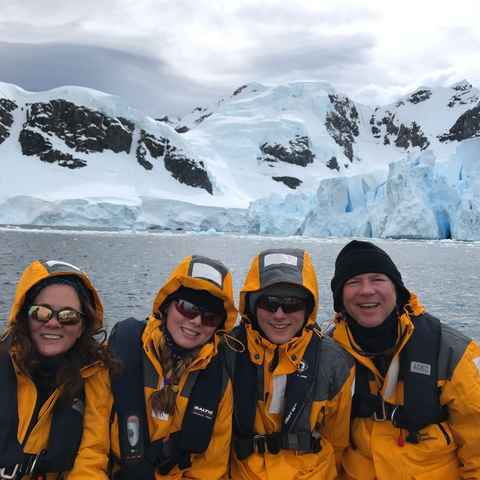 Boarding past icebergs, surrounded by magnificent scenery and playful penguins is a fairly new concept to Antarctica, but catching on fast. 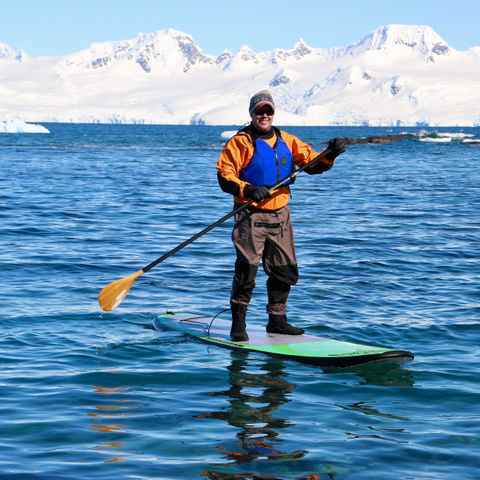 Paddleboarding in Antarctica is very much open to all levels of experience, as long as you’re a good swimmer and confident around water. This is very much fair weather paddling and calm bays in which to do it are carefully chosen. All equipment is provided as part of the cost, all you need to bring along is a good sense of balance! Overall, the trip was fantastic. We had so many new and amazing experiences that it is hard to pick a highlight, but some of my favorites include the first landing, paddleboarding, camping, and just taking it all in. Paddleboarding was AWESOME! Definitely the most fun activity we did. Guided by experienced staff, groups of up to 10 paddleboarders at a time can do this activity. The general plan is to do several SUP excursions per voyage to allow everyone on board who wants to give it a go, with one excursion per person unless you want to pay for a second. Due to the nature of paddleboarding on open water, it is weather dependent. The paddleboarding excursions take place at the same time as the other passengers are doing a landing or zodiac safari. Once you’re all kitted out with buoyancy aid, dry suit and booties, embarkation takes place either from a zodiac or the shore. There will be a qualified SUP guide with you at all times, with a support zodiac in attendance. 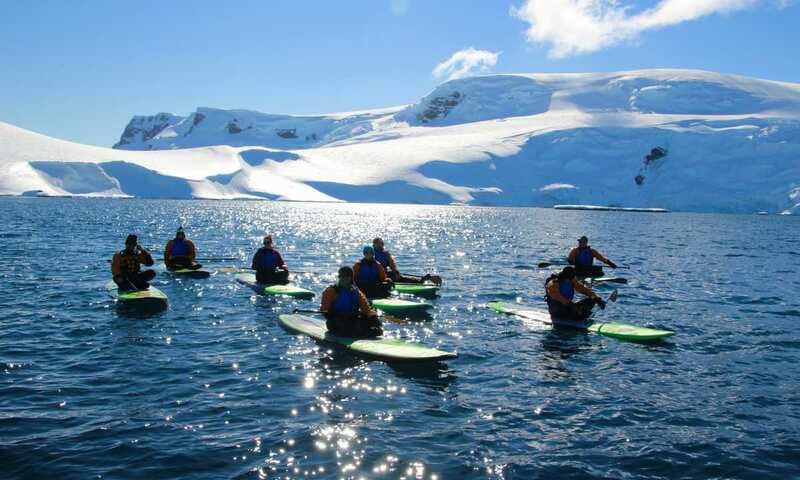 Beginners are strongly advised to undertake an SUP course prior to arriving in Antarctica, while a refresher for a few hours on a board is suggested even those who have done it before. The more comfortable you are on a board, the more you’ll be able to relax and take in the incredible scenery and wildlife. All of the necessary equipment is provided, including board, drysuit, buoyancy aid and booties. All you need to provide are layers, gloves and a woolly hat to help keep yourself warm. Polar fleece and wool are the preferred clothing materials for paddling, not cotton. Note that paddleboarding is only currently being offered aboard, a couple of ships: Ocean Endeavour and Island Sky. Paddleboarding costs $225 per person per excursion and along with camping is the least expensive of the optional adventure activities. The best way to regulate your temperature while in a drysuit is through adding or shedding a layer in the head and neck areas. A wool or fleece hat and a neck tube, scarf or balaclava will help cover all weather eventualities. How long does the paddleboarding excursion last? There isn’t a set amount of time, but normally they last 2-3 hours, which is the same amount of time as the other passengers will be away on their excursion. However you can finish when you feel you’ve had enough. Togged out in a drysuit and wearing a buoyancy aid you’re in little danger and typically people get straight back onto their board and carry on. Your SUP guide and the support zodiac will be on hand should you need it. Can I do it a second time? Yes, as long as there's space in the group and you’re willing to pay a second cost. Will I get a refund if we can’t paddle due to weather? It's not a regular occurrence, but if you aren’t able to paddle board then you will receive a full refund on the cost of the paddleboarding you booked.